Leading from the Gratlift base station to the Glacier Road, blocky terrain. Many hikers! This flowing trail forks off to the left after a rolling part close to the middle station of Gaislachkogl Mountain Gondola. The beautiful route, interspersed with pebbles and little rocks, climbs and descends moderately. Unfortunately, the trail is not that long! 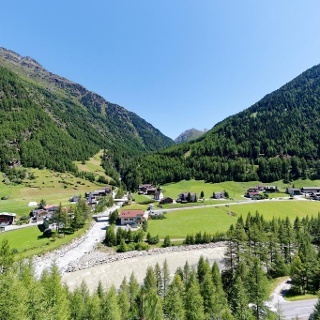 Professional bikers and photographers appreciate it for its splendid panoramic spots. Be careful on all Natural Trails: Always watch out for walkers and hikers! The blue Bartiges Bödele Trail, linking the middle station of Gaislachkogl Mountain Gondola and Rettenbachtal valley, forks into the Glacier Road. This trail can be perfectly combined with further routes like Rettenbachalm / blue trail (675) and Leiterberg / red trail (672). 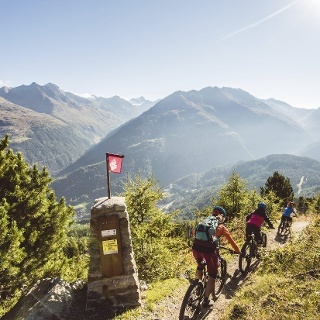 Note: one of the most scenic trails within the entire BIKE REPUBLIC SÖLDEN. 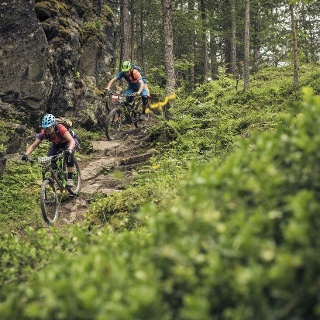 This one is a Shared Trail for both mountain bikers and hikers. Please show consideration for other sportspeople on the trail! 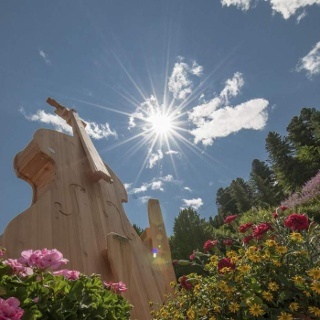 The scenic Bartiges Bödele Trail is easily accessible with the Gaislachkogl Mountain Gondola - Section 1. Of course, bicycle transport is allowed in the gondola cabins. 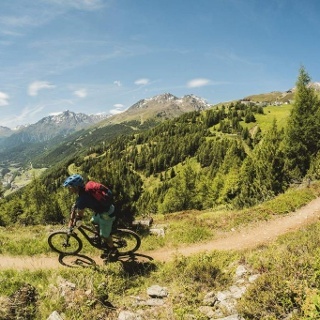 If you are a highly ambitious biker who wants to conquer to mountain on two wheels, then choose the Gaislach Mountain Bike Route (644) for ascending.